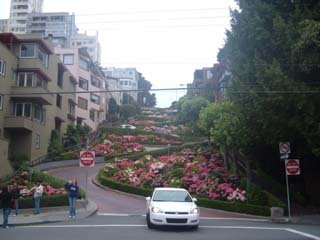 This time I started out by going to the 'crookedest street in the world" which is one block of Lombard St. 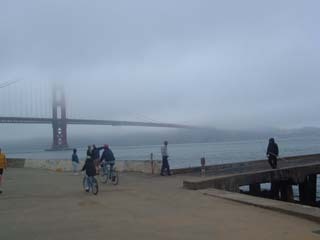 I had wanted a shot from telegraph Hill but it was too damn foggy, so I settled for pics onsite. 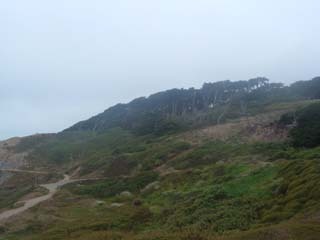 One from the top, and one from the bottom. 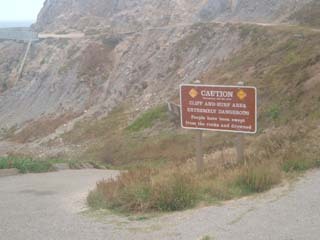 It was really not that pleasant to ride down, what with all those curves, but YAH BABY I DID IT! 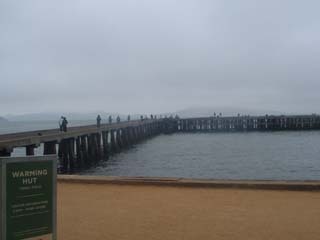 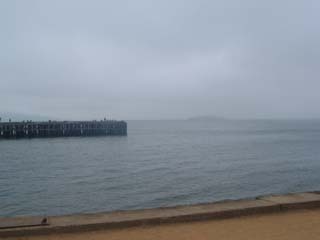 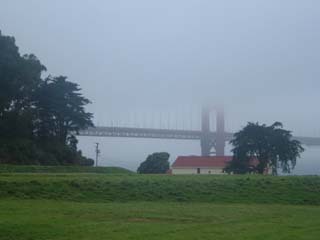 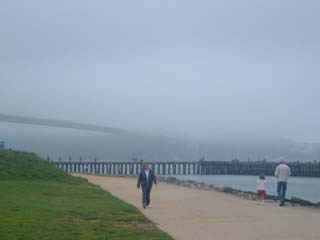 Next place I stopped and snapped pictures was Chrissy Field, where there were neat shots to be had of the fog-shrouded Golden Gate Bridge. 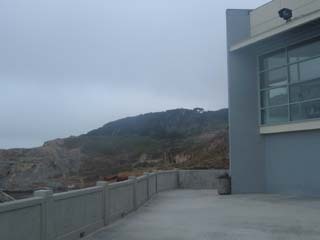 Onward through the Presidio park took me to the Cliff House. 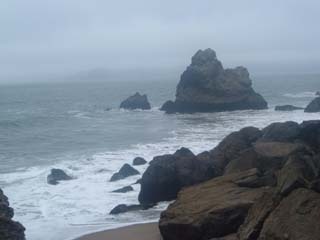 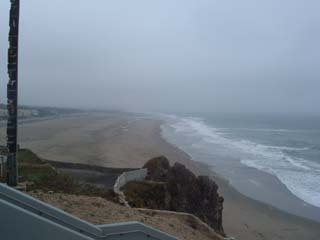 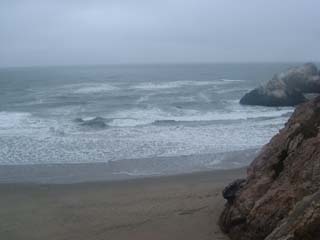 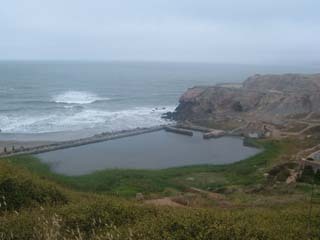 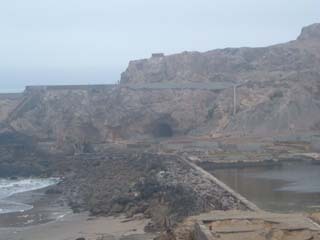 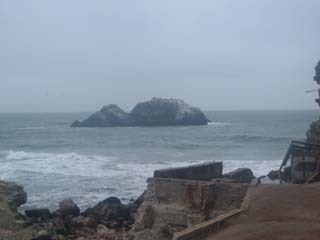 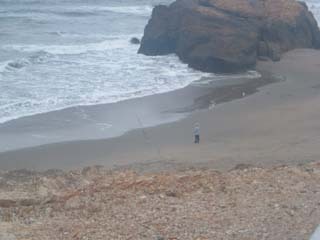 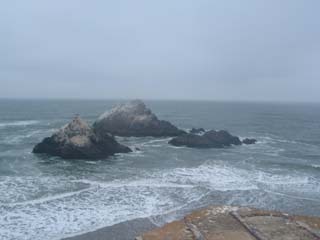 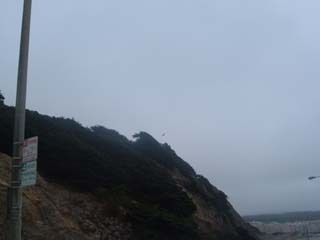 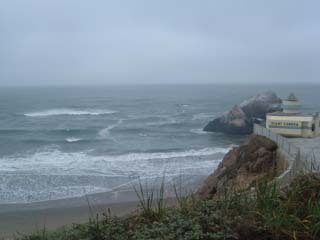 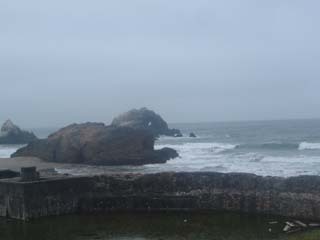 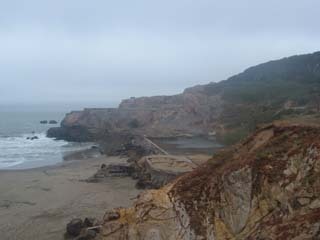 I recently read a book where Hunter S Thompson was staying in a hotel room overlooking Seal Rock. 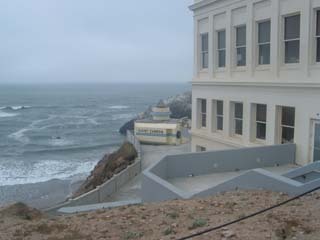 Maybe the Cliff House used to be a hotel? 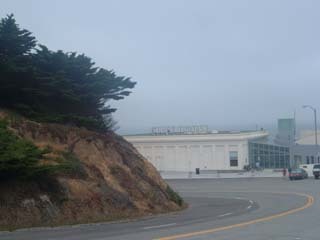 Perhaps part of it is...At the time all I detected in the building was a fancy restaurant. 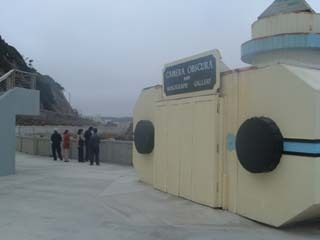 As luck would have it, the Giant Camera was closed for some reason. 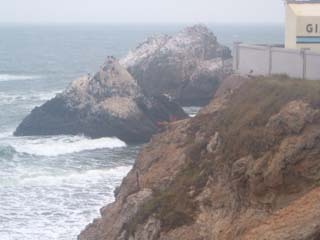 This must be the spa the cliff house used to be known for! 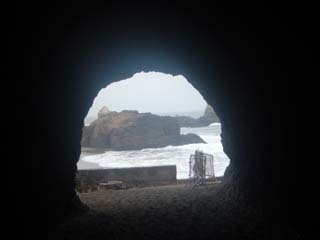 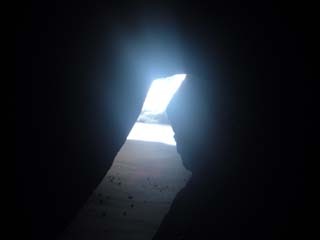 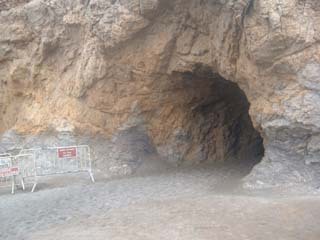 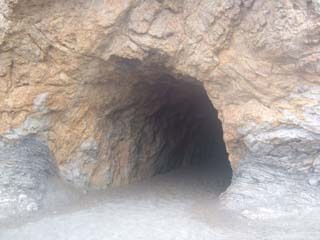 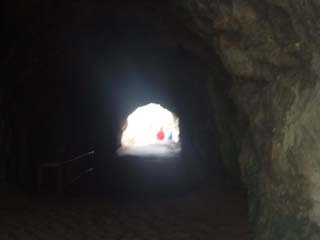 I climbed over, took a stroll around the area and through a tunnel. 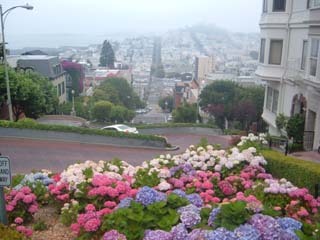 Afterwards, I rode back through Golden Gate Park and took Haight St all the way back downtown.